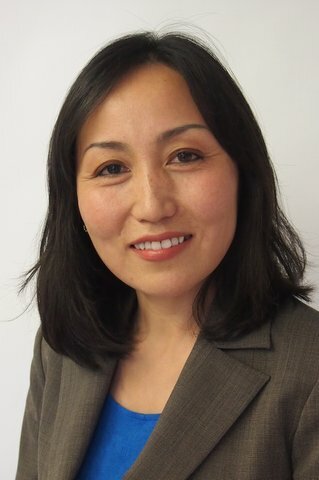 International Judge from Central Asia, Munkhjin Tsogt is a board chair of Mongolian Youth Development Services Center (MYDSC) and she received her Master’s degree in social work from Washington University in Saint Louis, MO, USA in 2008. She has been working in child rights and education, and youth development fields in the last 17 years by getting employed by World Vision International Mongolia, US Peace Corps and National Authority for Children, a principal government agency for child rights, development and protection. She is a co-founder of MYDSC, a non-government organization in Mongolia, which was established in 2009, to enhance educational and development opportunities for disadvantaged children and youth in Mongolia. She provides leadership and supervision for more than dozen employees of MYDSC and provide technical consultancy for numerous child rights and development projects in Mongolia. She received John F. Kennedy Service Award in 2006 from US Peace Corps in Boston, MA, USA. And she holds numerous awards for being an advocate for child rights protection and development of young people from governmental and non-governmental organizations in Mongolia. Currently, MYDSC implements following programs: 1) youth development program called “TOP™-youth development program”; 2) youth social entrepreneurship skills development program; 3) integrated community development program. Youth development program “TOP™-youth development program” is being implemented at the schools and communities in the ger communities of Ulaanbaatar, Mongolia to expand developmental rights of children and youth living in disadvantaged circumstances. There are 8 schools and 3 communities are involved in the current youth development program which reaches over 700 youth directly. Youth social entrepreneurship program provides support to youth in the establishment and operation of social enterprises e.g. internet and training center and youth photo studio etc. Youth in this program learn key life skills as well as leadership and entrepreneurial skills. In addition, MYDSC is engaged in community development programs in the two rural mining communities in Tuv and Selenge provinces. Social workers are engaged in community groups to plan and implement community development projects and empower youth to gain life skills and get involved in community services and projects. MYDSC works in cooperation with district government, schools and local authorities. In addition, the projects of MYDSC have been financially supported by World Vision International Mongolia, GIZ of Germany, and US Embassy in Ulaanbaatar, Mongolia. MYDSC promotes evidence based development programs and capacity building of all engaged in youth and community development. It aims to expand its development programs at national level by building capacities of technical and methodological skills of stakeholders.